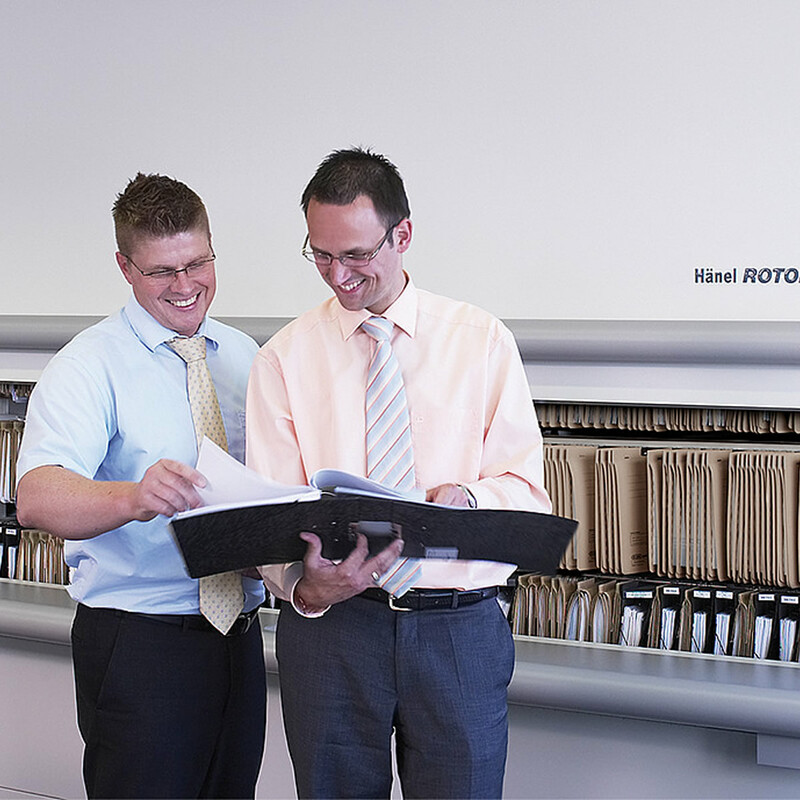 Rotomat Filing Carousels offer you a versatile filing system that adapts flexibly to your needs. 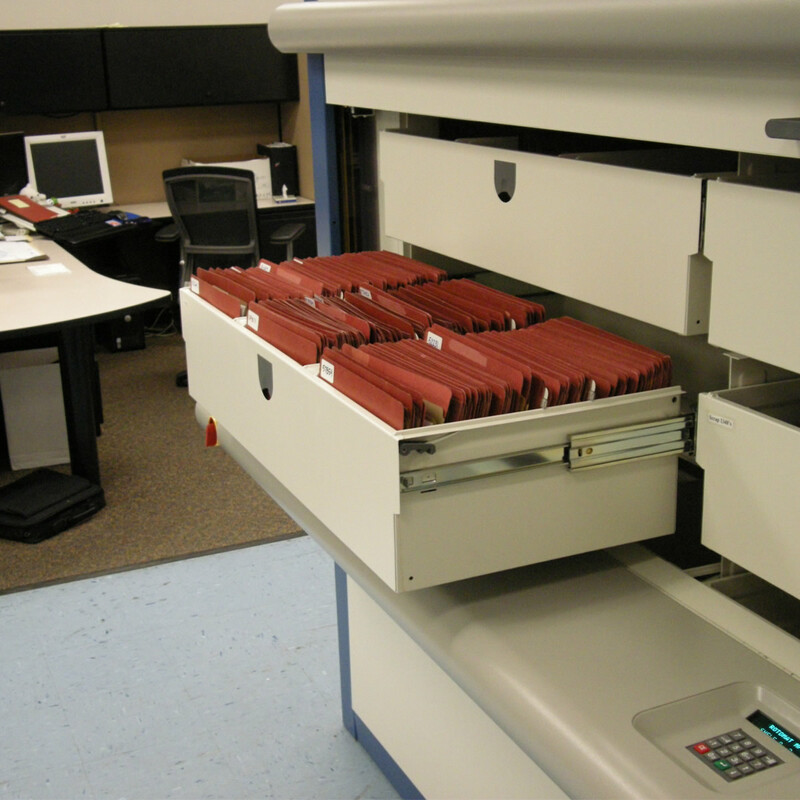 The advantage for you: All the usual filing methods can be combined in one Rotomat Filing Carousel. The Rotomat Filing Carousel makes use of the available room height, so its compact design creates up to 60% more filing capacity. This means expensive office space is used more efficiently. The Rotomat filing carousel brings the required files to the retrieval point at the touch of a button in just a few seconds. This means no distances to walk or ladders to climb when looking for files or returning them after use. The days when walls were lined with filing cabinets and when index cards archives gathered dust are over. The legwork and ladder-climbing used in searching for files is now over. Optimum utilization of floor space. The term upward mobility takes on a new meaning. The Rotomat is as flexible as you need it to be. Units can extend through several floors. Files to user is the motto, not user to files. 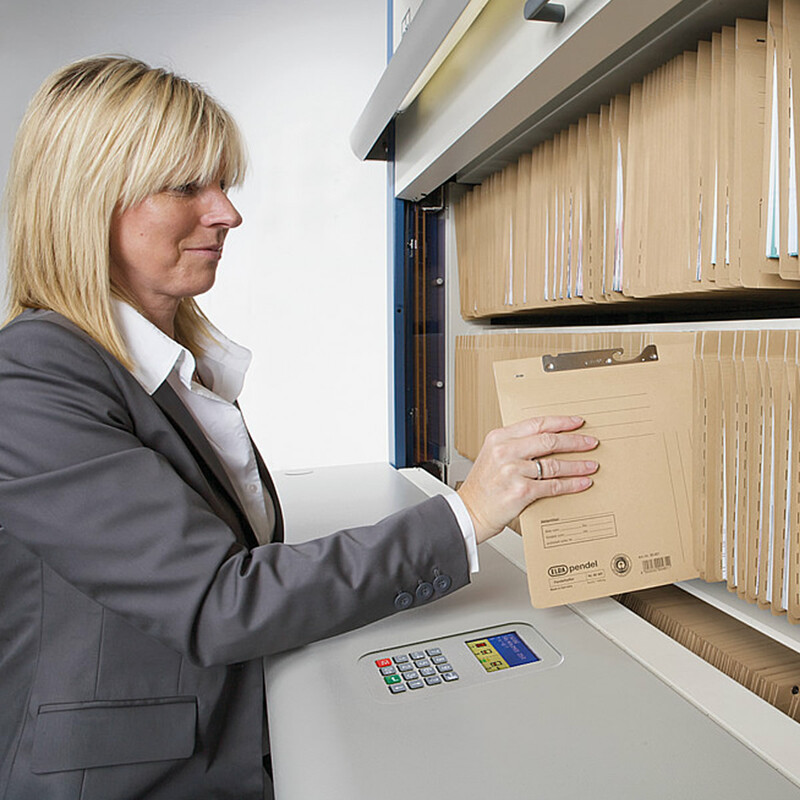 Personnel costs and retrieval times can be dramatically reduced. High-performance controls and computer interfacing ensure that the Rotomat can be put to use flexibly and on an individual basis. 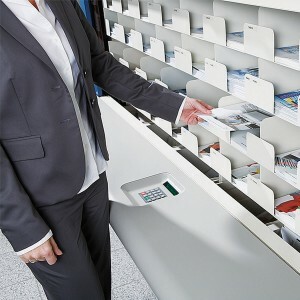 The required files are brought to the ergonomically positioned retrieval point at a touch of a button. Safety is considered of paramount importance. No climbing of ladders, no stretching, bending, stooping or reaching. Classic design, 5 attractive colors to choose from. 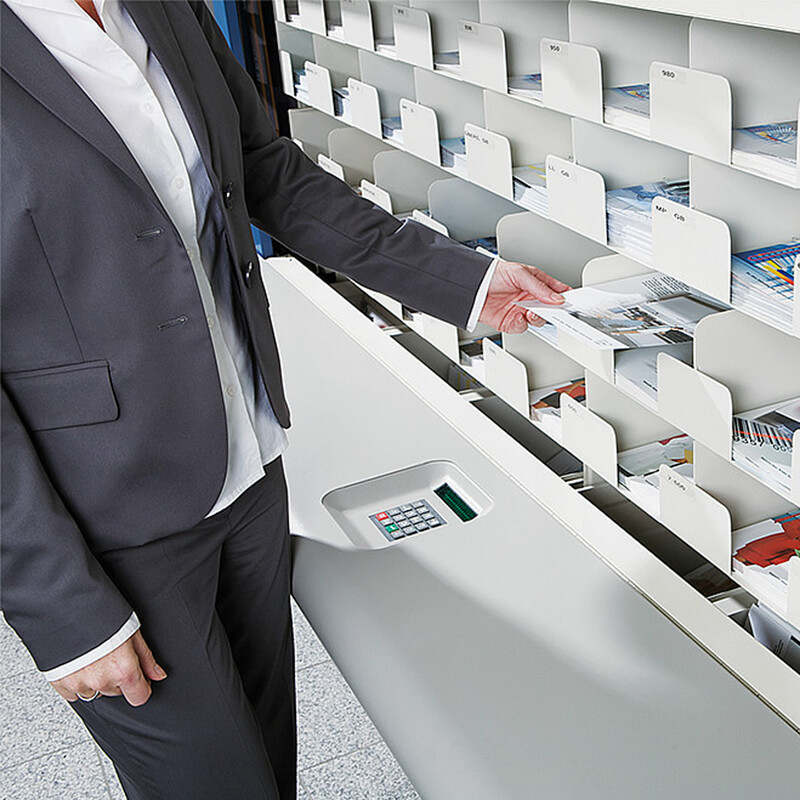 The Rotomat automatically brings the required file or media to the ergonomically designed retrieval point at the touch of a button. Microprocessor control units offer the possibility of networking the Rotomat directly with a PC or connecting other peripheral devices. Vital Valt offers a variety of control systems to ensure that the Rotomat can be incorporated seamlessly into any organization system. For manual control, it has a numeric keypad with digital display for the shelf number. 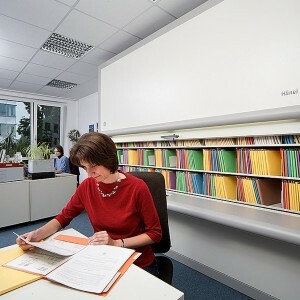 The user friendly control unit is integrated into the work counter. Just press a button to bring the required file automatically to the retrieval point in seconds flat. The control system is so easy to use, any operator can enjoy effortless access. Depending on the configuration level of the control unit, up to four serial interfaces are available per Rotomat to allow peripheral devices such as label printers or bar-code readers to be integrated.